Rose of Arden: The wheels on the CaRT! The wheels on the CaRT! For years, a symbol of the UK's Canal and River system in the public mind was not the old BW Reed Mace and Bridge. Though the old BW logo gives a much better impression of the inland waterways. More latterly, the logo of choice has bee CaRT's Angry Swan. In fact what has long symbolised the canal and river system has been the amount of rubbish fly-tipped from almost every bridge. What has become the standard symbol and joke associated with our Canal and River system has been the rusting shopping trolley. 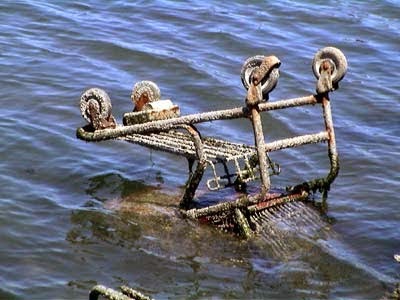 However, have you ever wondered what happens to all the broken and abandoned trolleys that litter our inland waterways. The vast majority are simply left to rust away being hit again and again by narrowboats and barges until they are completely flattened or end up wrapped around a propeller. However, some that are recovered are in reasonable condition can be rescued, revived and reused. 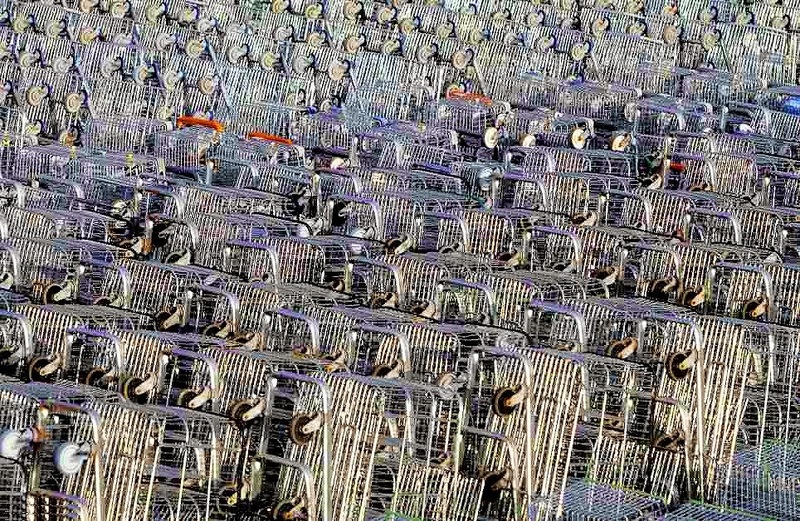 This is an enormous graveyard containing many tens of thousands of broken trolleys. However, this is not the end of the line for these old supermarket trolleys. Instead of being scrapped, all of them are waiting to be repaired and refurbished. The Reviva factory in Tibshelf, Derbyshire gives broken trolleys a second life. It is estimated that the missing shopping trolleys are costing UK supermarkets and ultimately the shopper more than £8million a year to replace.